I would like to introduce you the granddaddy of all the match-three games. Before be-Jewelled (derived from Russian Shariki), before Bubble Shooter (derived from Taito's Bubble Bobble) back in 1985 there was Chain Shot! the first match 3 game. Simple and addictive it was ported on numerous platforms. So why should you give our version a try? We tried to recreate a full experience of the game in a tiny download package. 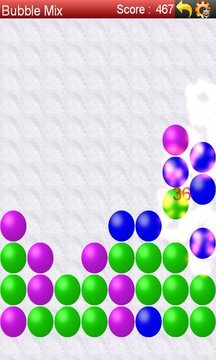 Tap to highlight two or more adjacent bubbles of the same type to remove them off the board. Destroy 3 or more at a time to get score. The more you destroy the higher the score. Use menu (top right corner) to toggle between regular and tournament mode. 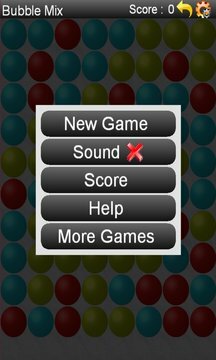 In regular mode tap once to preview the selection and the score and then tap selected cells again to remove them off the board. In tournament mode tap once to remove the bubbles off the board and watch out for the timer on top of the board.